USDA Hardiness Zones in most of Arizona range from some 5 to 9 with a small section of the state in the southwest in Zone 10. Gardeners in most of the state choose from the same variety of shade trees that provide shade and colorful flowers, adding two dimensions to the landscape. Cherry plum (Prunus cerasifera), also known as myrobalan plum, is native to Asia and a member of the rose family. The tree is hardy in USDA Hardiness zones 5 to 8 in Arizona. The tree has a life span of about 20 years, is deciduous and can be grown in containers. Deciduous, bright-green, oval-shaped leaves measure 1-1/2 to 2-1/2 inches long and form a rounded crown. 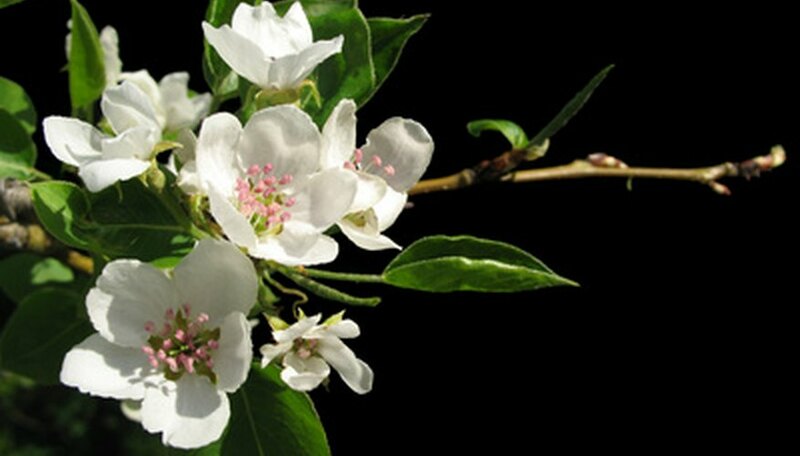 The tree grows 15 to 28 inches tall featuring white flowers up to 1 inch long that bloom before the leaves put in their appearance, The flowers are followed by edible, red fruits about 1 inch in diameter that birds eat. Plant cherry plum in full sun and a loose, well-drained soil. Callery pear (Pyrus calleryana) is a member of the rose family. The tree is a fast grower that starts out upright and develops a crown with a spread of about 20 feet at maturity and a height of about 45 feet. The tree does best in full sun and well-drained soil, producing medium to dark-green, glossy leaves growing on 2-inch long stems. The leaves turn green, purple, orange, yellow, red or a combination two or more in November and December. White, 3-inch wide flowers bloom at the same time the leaves appear and are followed by green-brown fruits that turn to chartreuse as they mature. Callery pear is hardy in USDA Hardiness zones 5 to 8 in Arizona. Black locust (Robinia pseudoacacia), also known as false acacia and yellow locust, is a member of the bean family. The tree grows as tall as 80 feet with a trunk diameter of 1 to 2-1/2 feet. The dark-green, feathery leaves measure 12 inches long. The fragrant, white flowers bloom in the spring growing in clusters about 8 inches long and are followed by 4-inch long brown seed pods that stay on the tree throughout the winter. Black locust does well in all soils except for clay as long as the soil is well-drained. It prefers full sun. The tree is hardy in USDA Hardiness zones 5 to 9 in Arizona.